Spice plantation is one of the best gifts of nature that has given a boost to both the income as well as the tourism of India. Take a walk in the sprawling spice gardens in Kerala, if you really want to learn more about the Spices of India. Kerala is the best place to get lost in the soothing smell of some of the India’s best spices. You can pick up a few packets of your favourite spices to take back home with you so that you can add an extra flavour to your homemade dishes. If you wish to take a spice tour, then no place can be better Kerala. It is the real spice city of India. At Tour My India, we offer an exciting 5 nights and 6 days Kerala Spice Tour to satisfy your growing needs. 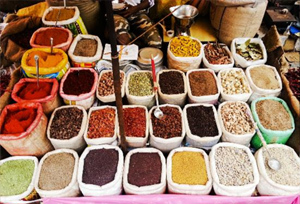 Our tour will take you Cochin where you can best explore a variety of spices. Also, we will later take you to Periyar wildlife sanctuary so that you can have an unforgettable tour of your life. On arrival at Cochin Airport, our representative will meet and greet you and transfer you to the hotel. Later, half day city tour of Cochin visiting Jewish Synagogue, Dutch Palace, St. Thomas Church, St. Mary's Cathedral, Chinese Fishing Nets and Bolghatty Palace or visit Spice Market (if time permit). An overnight stay at the hotel. After breakfast proceed to Indian Spices Board, Jew Town - Jew Town has lost much of its earlier glory, although it has retained its status as an important centre of spice trade. The exotic odour of the finest ginger, cloves, cardamom, turmeric and pepper, also known as black gold, emanate from the spice warehouses lining the street and fills it. The bustling trade of spices is evidenced in the trucks going to and away from the warehouses, loads being taken in and out using pushcarts, and the sight of workers drying, sorting and packing spices. Evening transfer to hotel. Overnight stay at hotel. After breakfast drive to Thekkady. On arrival at Thekkady, check-in at hotel. Thekkady is a home of the Periyar wildlife sanctuary. 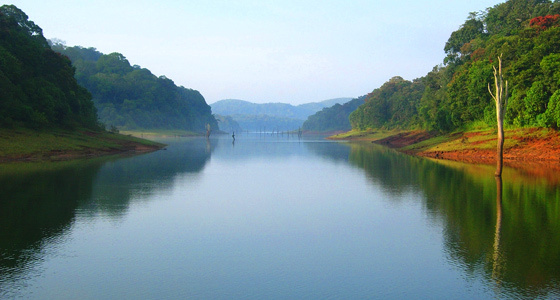 Periyar has a lot to offer in terms of natural beauty and wildlife. It is famous for its rare habitat of birds and animals and is one of the most popular destinations for nature lovers. In the afternoon, visit the spice plantation at Thekkady. Later in the evening transfer to the hotel for overnight stay. Early morning boat ride for elephant spotting. After breakfast, have a massage or stroll in the village. Mid-afternoon, a trip takes us to a working spice farm where we see cardamom, nutmeg, pepper, cloves, vanilla and allspice growing. An overnight at the Hotel. Enjoy breakfast at the hotel and get transferred to airport to catch the connecting flight for onward destination.